Last night Jim Thome, recently acquired by Baltimore, made history, breaking a record previously held by Barry Bonds. Before that this record belonged to Reggie Jackson, and before that, to Babe Ruth. That is impressive company for any man to keep, yet no one seems to have noticed this momentous occasion. Perhaps that's because it happened after most of the country was in bed, or perhaps (and more likely) it's because no one but me was paying any attention to this particular bit of baseball history. But whether anyone but me knew it or not, Jim Thome became baseball's all-time "three true outcomes" leader. 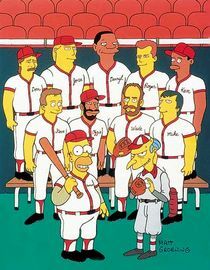 The three true outcomes for any plate appearance are the strikeout, the walk, and the home run. They are the possible outcomes that involve only the hitter and pitcher (give or take a catcher to throw the ball back). The term was coined during the 1980s in reference to seemingly every appearance by Rob Deer going one of those three ways. 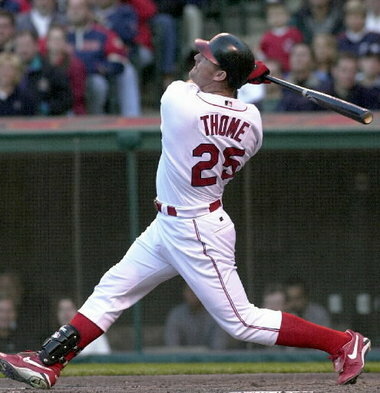 These are perhaps the truest TTO players, and you can see that both Thome and Dunn are among the very greatest. Dunn or Mark Reynolds could each pass Branyan's percentage someday. Only three of these 20 players began their career before the last 30 years (Mantle, Lock, and Thomas), so clearly TTO have climbed and climbed in frequency, and both of these lists are likely to see many changes over the next decade. Today though, let us celebrate Jim Thome. Long live the king. Wow. Hank Aaron just keeps getting more impressive. He is 17th in TTO yet those 3,540 PA represent barely 25% of his total PA! Yes he's in the Hall but he still has to be one of the most underrated players of all time. I agree, Hank Aaron DOES somehow seem to be underrated. Sometimes I feel he's viewed as a guy who managed to hit a lot of home runs for a long time (not that THAT would be anything to scoff at), and that his overall greatness is overlooked. I'm no sure if it's being a contemporary of Mays, or playing in smaller markets, or... I don't know. From Seattle to New York to Cooperstown?